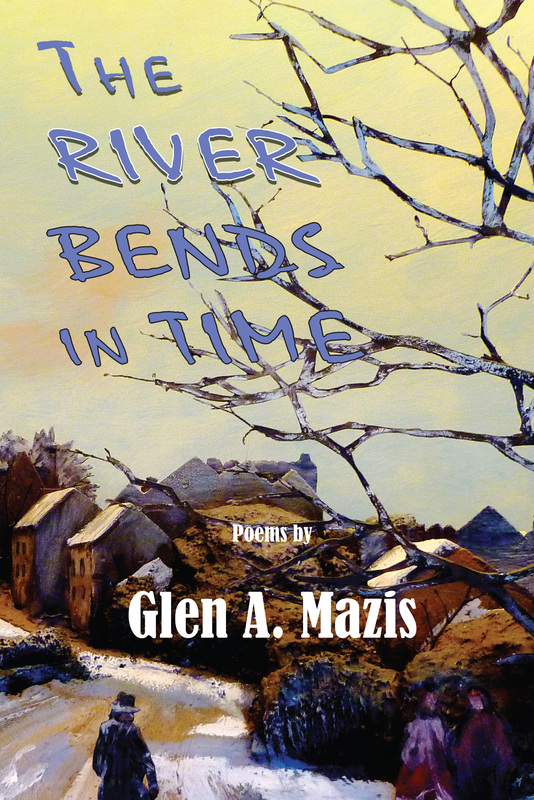 The River Bends in Time ($15, ISBN: 978-1-937536-23-7, Hardcover ISBN: 978-1-68114-167-1, LCCN: 2012933922, 110pp, 6X9, April 2012 – Click to Purchase): follows the flow of time and the river as it unwinds in a small town in Pennsylvania along the banks of the Susquehanna. The narrator experiences those quiet moments of joy when ducks come from the sky to skim the water’s edge or in the height of a Nor’easter as he walks through the forest filling with snow, but also the sadness of a neighbor’s dying or love breaking apart. The river flows, always bending and changing, like discovering the love of a mate that one joins with, becoming partners who run together under flying snow geese or dig a pond behind a two hundred year old house. Yet, the postmodern world seems lost without a past. A bout with colon cancer brings a renewed sense of the preciousness of each day and how the culture is wrong in its headlong race towards the future. The book ends with moments that resonate with the past in a state of continual affirming discovery. Glen A. Mazis teaches philosophy and humanities at Penn State Harrisburg where he is Full Professor and has directed the interdisciplinary Master’s program. His poetry has been published in several literary journals, including Rosebud, The North American Review, Sou’wester, Spoon River Poetry Review, Willow Review, The Atlanta Review and Ashville Poetry Review (best of 1994-2004). He also writes books of cultural critique and philosophy, including Earthbodies (SUNY, 2002) and his newest book, Humans, Animals, Machines: Blurring Boundaries (SUNY, 2008). Mazis’s poetic credits include being a chapbook finalist for White Eagle Coffee Store Press, and a finalist in competitions for a Writers At Work Fellowship, and the White Pine Press and Spire Press Book Prizes. He has 75 poems accepted for publication in past 12 years in 38 journals with poems also appearing in Many Mountains Moving, Ellipsis, Cumberland Poetry Review, Willow Review, River Oak Review, Crab Creek Review, Connecticut River Review, Worcester Review, Poet’s Guild, Wisconsin Review, and Writer’s Forum. —Thomas Lux’s books of poetry include God Particles: Poems (Houghton Mifflin, 2008); The Cradle Place (2004); The Street of Clocks (2001); New and Selected Poems, 1975-1995 (1997), which was a finalist for the 1998 Lenore Marshall Poetry Prize; The Blind Swimmer: Selected Early Poems, 1970-1975 (1996); Split Horizon (1994), for which he received the Kingsley Tufts Poetry Award; Pecked to Death by Swans (1993); A Boat in the Forest (1992); The Drowned River: New Poems (1990); Half Promised Land (1986); Tarantulas on the Lifebuoy (1983); Massachusetts (1981); Like a Wide Anvil from the Moon the Light (1980); Sunday (1979); Madrigal on the Way Home (1977); The Glassblower’s Breath (1976); Memory’s Handgrenade (1972); and The Land Sighted (1970).